Winter is here peeps, and do you know what that means? That means working on your winter body and gobbling up sweets left, right and centre ‘cause it’s a universally known fact that this time of the year is all about hogging on all our fave food AKA desserts! And if you haven’t been living under a rock, then you’ll probably know that US Cranberries presents #DessertarianFest in association with London Dairy is back for their second season this year and we’re in awe. We mean, surrounded by desserts all around *heart eyes* - yup, nothing could be better than this! So we went ahead and made a list of 8 sugary goodies that you CANNOT miss while you’re here, check ‘em out! Waffles - the one dessert Delhiwalas can’t get enough of! We’re sure you must have tried about all the available waffle flavours in Delhi by now, but is there such a thing as too many waffles?! 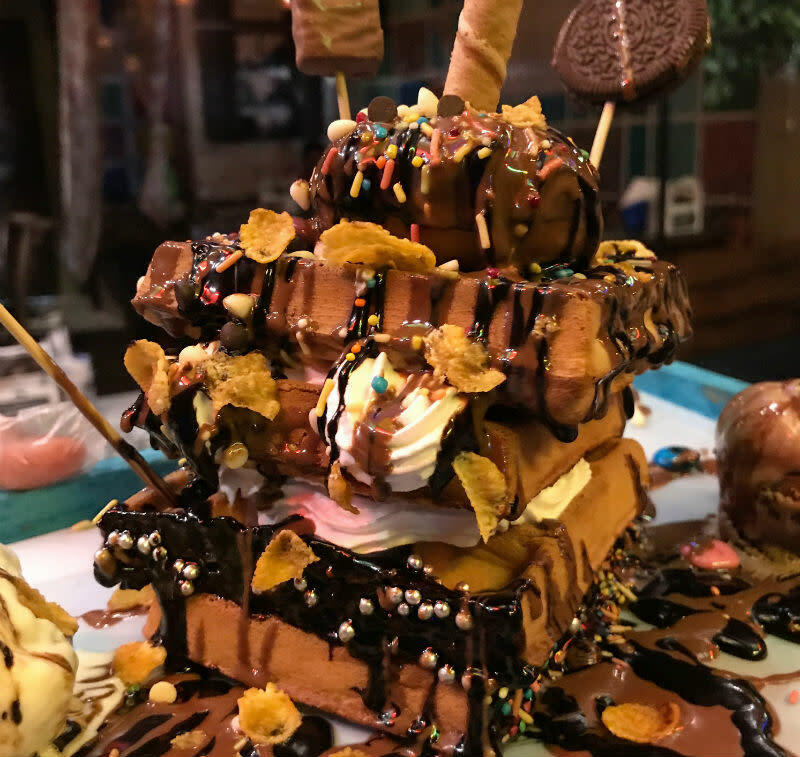 So for all you waffle heads, For God's Cake is coming with Freak Waffles at the fest! These waffles are gonna be loaded with all the flavours you can imagine in the world and we can’t wait to get our hands on ‘em! Gol gappas are our forever love! But what if we tell you that spicy gol gappes have taken a sweet turn? It’s true guys, the lovely people from Angel’s Kitchen are gonna be serving Chocolate Gol Gappas - filled with Oreos, Chocolate Mousse, Blueberry, Nutella and peanut fillings all topped with chocolate sauce *chocolate coma*! Go take a moment to take it all in ‘cause we’re defo dropping by to try this one out! It might be winter but that ain’t stopping us from going a little crazy on the yummy, frothy freak shakes these guys are gonna serve here, not at all! 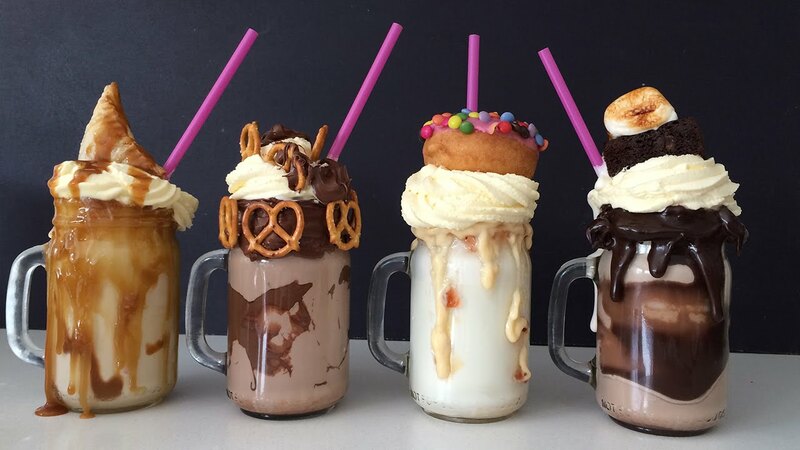 If the huge, overloaded and topped with more goodies kind of shakes is something you cannot resist, like us, then don’t forget to head over to their stall at the fest! Our favourite bakers from HKV are gonna descend to this dessert lovers’ paradise and we’re already giddy! They’re bringing in their yummy pastries, cookies and muffins but what we can’t wait to try out are their delicious Laphroaig Macarons. 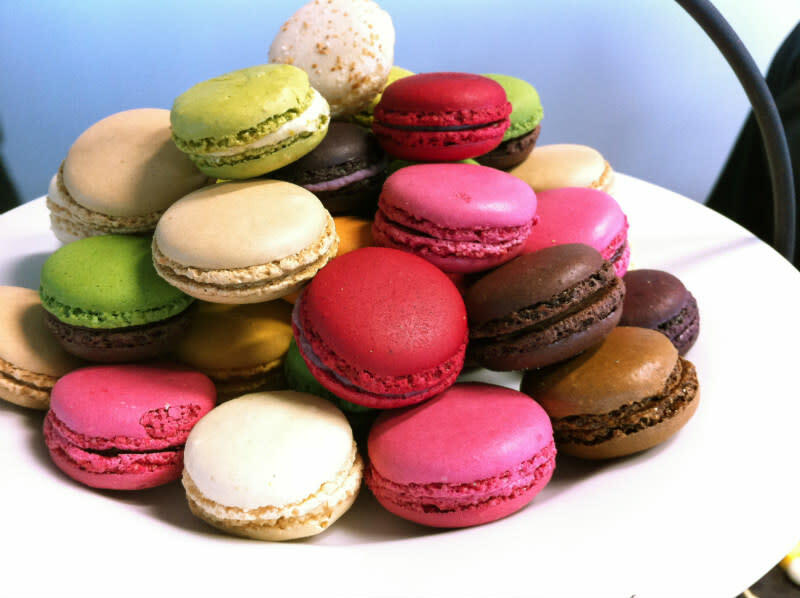 They’ll also be serving their famous Raspberry & Chocolate, Lemon and Fig & Cinnamon-flavoured macarons and you have to try them all out! 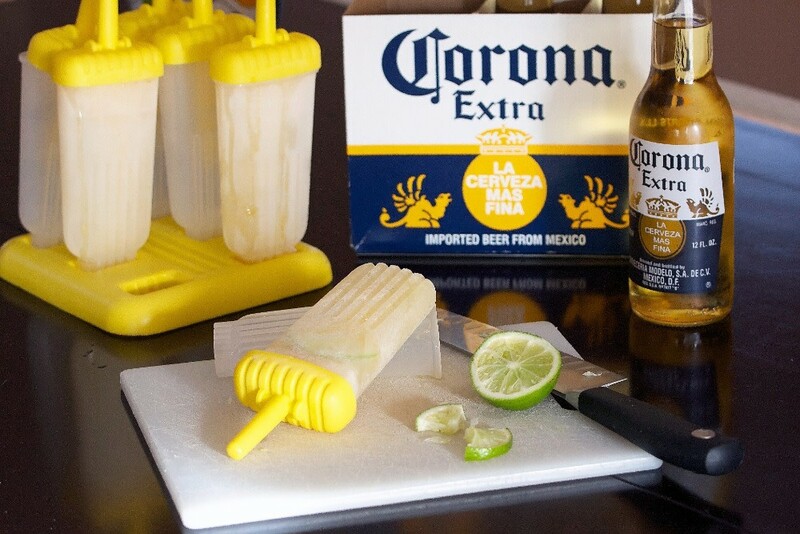 Booze on a stick ‘cause drinking right out of the glass is too passe! Take Home Chef is bringing in their ah-mazing popsicles to this fest people and this gives us just another reason to not miss this one out! Their popsicle flavours have everything from the regular *but totally yummy* Oreo, Coffee & more and then of course the boozy ones that are filled with sangrias, beer and so much more! These guys don’t just have a cool AF name, they have got some really cool things to serve you up too! 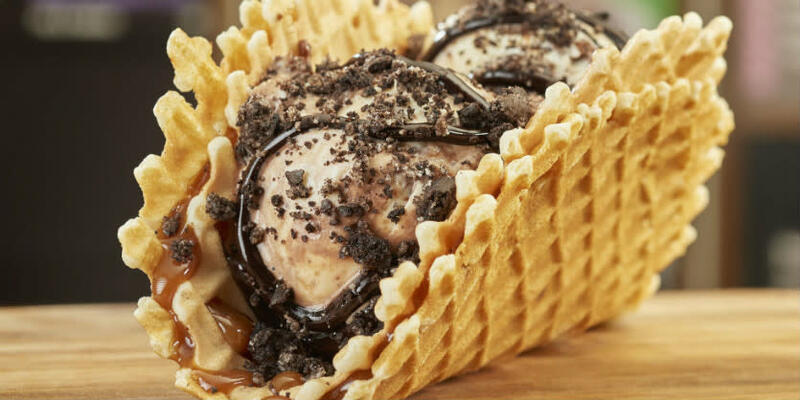 What we cannot wait to try out are their ice cream tacos, yup you read that right - they’ll be serving thandi thandi ice creams in a taco and we’re already drooling here! What could be better than some massive garma-garam jalebi in this breezy weather? Absolutely nothing! 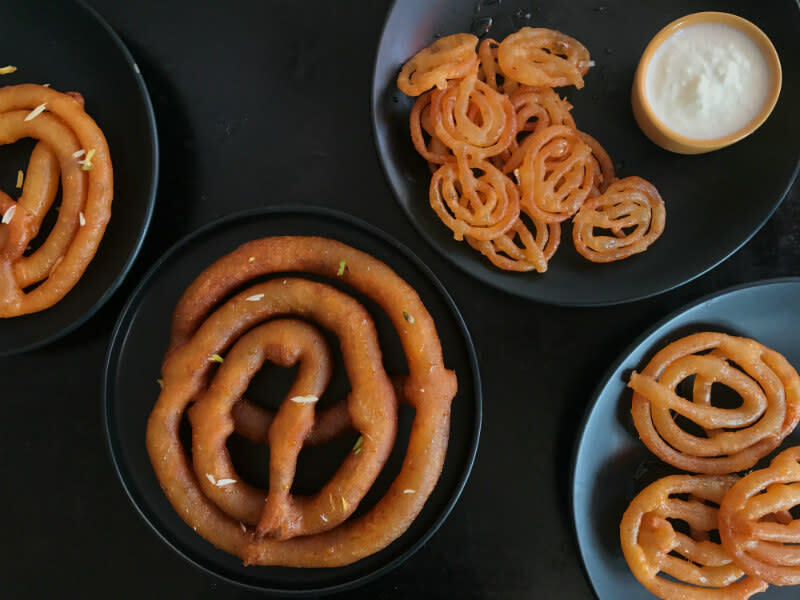 The popular Jalebi Shop from GGN is coming down with their huge jalebis and we’re already psyched. Don’t forget to drop by this one ‘cause these jalebis demand to be devoured! 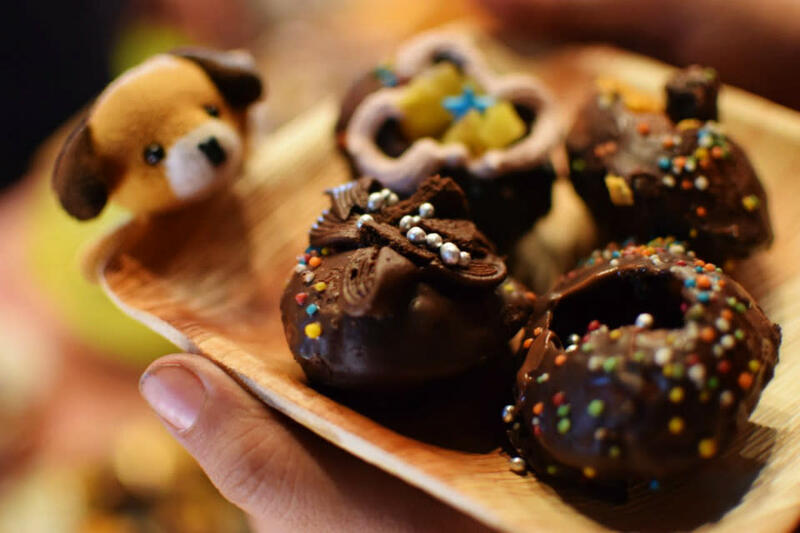 Tiramisu, Coffee N Caramel, Red Velvet, Kitkat, Nutella, Ferrero Rocher, Butterscotch - no we aren’t reading out the menu of a cake shop, these are actually paan flavours that you can try out at this fest! 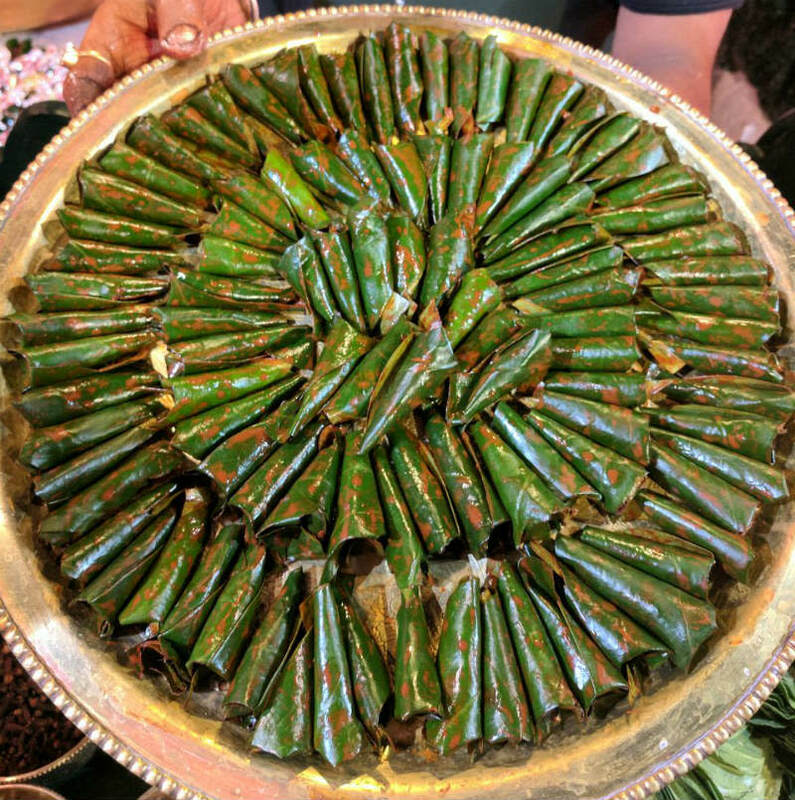 Since no meal is complete without some meetha paan afterwards, this stall is a defo drop by! And hey, you can also try out the Fire Paan or Ice Paan here! And these were just 8 dishes, this fest is gonna be loaded with so much more - so get all your fellow foodies on board for this one ‘cause desserts are best enjoyed with your loved ones, so mark the dates right away!